Parco Palladiano X Olivo evokes the powerful presence of the olive tree, known as the Tree of Life. The unisex scent features a woody green composition with a green olive accord that embodies the strength and charisma of the enduring species, a timeless presence in the Palladian Garden. The olive-colored juice captures the vibrant hue of the tree’s silvery leaves glistening under the sun in spring. 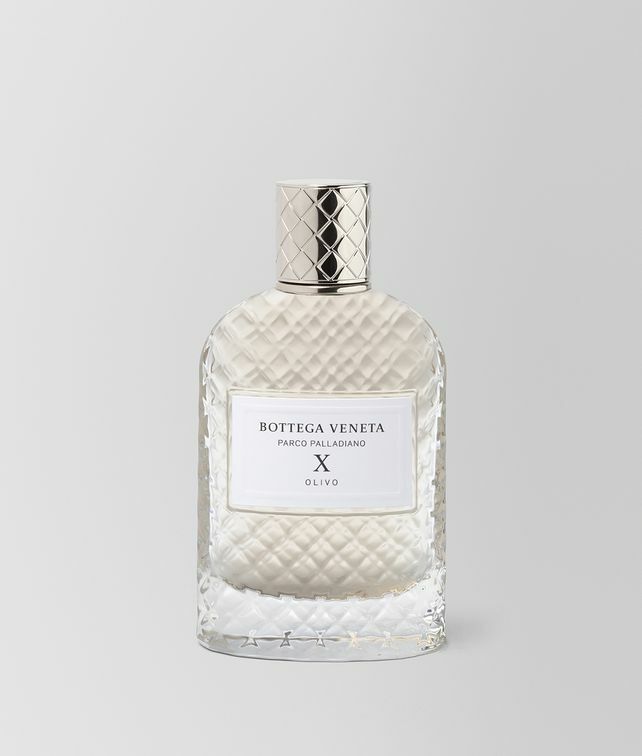 The glass bottle and silver cap are elegantly embossed with the intrecciato pattern and expertly hand-finished.